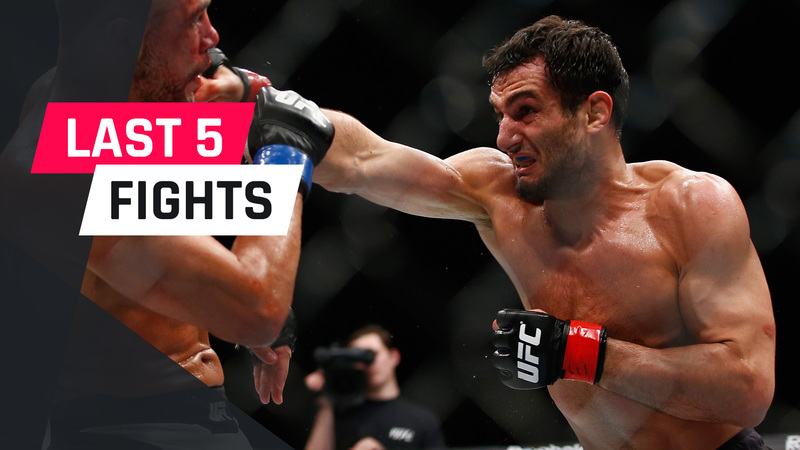 Gegard Mousasi (44-6-2) is one of the most effective finishers in all of MMA. Of his 44 wins, 36 of have come by stoppage. Mousasi debuted in April 2003, beating Daniel Spek by first-round TKO at 2H2H: 1st Open Team in the Netherlands. After a little more than three years in the sport, he received an invitation to particiapte in PRIDE’s Welterweight Grand Prix at Pride-Bushido 11 and made it to the quarterfinals. The Dutch fighter put himself on the map when he went to DREAM and won the inaugural middleweight championship by knocking out Ronaldo ‘”Jacare” Souza. In his next fight in the promotion, Mousasi tapped out former UFC heavyweight title challenger Mark Hunt. Wanting to make a name for himself in the United States, Mousasi signed with Strikeforce. He made his promotional debut in August 2009 with a knockout of Renato “Babalu” Sobral to capture the light heavyweight title. He would later drop the title to Muhammad Lawal in April 2010. Mousasi made a return to DREAM in September 2010 and choked out Tatsuya Mizuno to win their light heavyweight title. Strikeforce’s last event took place in January 2013 when they merged with the UFC and Mousasi took his talents to The Ultimate Fighting Championship. Initially, Mousasi struggled in the world’s most popular mixed martial arts promotion. He started out 4-3, but won four consecutive fights heading into his final fight on his UFC contract. Turning down a renewal with the UFC, Mousasi fought and beat former middleweight champion Chris Weidman by second round TKO at UFC 210. Deciding he wanted to try his luck elsewhere, “The Dreamcatcher” signed a deal with Bellator last July. In his promotional debut, Mousasi defeated former Bellator middleweight champ Alexander Shlemenko by unanimous decision. The next outing for Mousasi went a little bit easier, as he defeated Rafael Carvalho by first-round TKO to become the middleweight champion. Mousasi will make his first title defense at Bellator 205 on Sept. 29, when he battles welterweight champion Rory MacDonald, exclusively on DAZN. Let’s take a look at Gegard Mousasi’s last five fights. Mousasi won by first-round TKO. Summary: Mousasi wanted to show the world he could win another world title at Bellator 200. He didn’t waste any time, going right at Carvalho from the opening bell. After securing a takedown, Mousasi pummelled Carvalho with ground-and-pound punches to earn the stoppage in the first round. Result: Mousasi won by unanimous decision. Summary: People were expecting Mousasi to blow Shlemenko and leave an impression. Instead, Shlemenko made it harder than anyone thought with exceptional striking. Mousasi won a narrow decision, but many felt it should have gone in favor of Shlemenko. Result: Mousasi won by second-round TKO. Summary: Mousasi had a lot on the line heading into this bout with Weidman. He was on the final fight of his UFC contract. Instead of signing a new deal, he bet on himself against the former middleweight champion. Mousasi hit Weidman with two knees to the head and the fight was halted because the referee thought they were illegal. Under the new unified rules of MMA, the knees were legal. Mousasi was awarded the victory and held all the cards in choosing his next employer. Result: Mousasi won by first-round TKO. Summary: This was a rematch from their September 2015 bout, when Hall won in just 25 seconds. Mousasi returned the favor this time, mauling Hall from the outset to win by first-round stoppage and proving the first fight was a fluke. Summary: Mousasi dictated the pace from the opening second, pressuring Belfort and not making him feel comfortable inside the Octagon. In the second round, Mousasi connected on a beautiful head kick, which rocked Belfort. Sensing the end could be near, Mousasi pounced on Belfort and the fight got waved off and Mousasi earned what at the time was the biggest win of his UFC career — and made himself a contender at 185 pounds.